Zero gravity chairs aren’t just for astronauts anymore. Today, they offer a fantastic source of comfort for people who suffer from joint or muscle pain, spinal alignment problems, back pain, and a range of other health issues. Even if you have no problems with your comfort whatsoever, you can still find exceptional relaxation with a zero gravity chair. Today in this article, we’re going to share with you what exactly a zero gravity is and why it’s so beneficial for your health. But to get the health benefits you need to buy the best zero gravity chair from the market, otherwise you may have to face a negative experience with this piece of furniture. So below we’re also going to review some of the best zero gravity chairs on the market today that we think are worth your money. Most of these chairs are under $150 so we’re pretty sure that you’re going to be easily able to afford. In the 1960s, NASA began sending astronauts into space to examine the universe surrounding us. While their missions initially involved fleeting experiences, NASA started extending the amount of time astronauts spent outside of the Earth’s atmosphere. It wasn’t long before each one began reporting adverse health effects, including unwanted weight loss, muscle wastage, and a reduction in bone density. From there, NASA went back to the drawing board to see how it could send its professionals into space without impacting their health. Eventually, they developed the zero-gravity concept, which involved using pressure to hold the astronauts in place, and to avoid the intense stress during the sudden increases in gravity while escaping Earth’s gravitational pull. Thanks to this technique, the poor health effects NASA’s astronauts encountered were reduced. Today, similar techniques exist in zero gravity chairs and some recliner chairs. In zero gravity, you are suspended in a position in which there is no force of gravity acting on the body. A zero gravity chair works by reclining your body into this position by evenly distributing your weight across the chair, so that gravity places less stress on some areas of your body. More specifically, the zero gravity chair will elevate your legs and allow you to adopt something called the Trendelenburg position. The Trendelenburg position works with the small valves in your veins that allow blood to return to the heart in a smoother manner. With a zero gravity chair, all the positions, from upright to full recline, are safely secured by a locking mechanism, so you can easily find your desired position and relax in confidence. Some of the best zero gravity chairs on the market today can recline to an endless number of positions, some even come with the massage features, which relieves stress on the body for a deeper and more intense relaxation experience. The zero gravity chair holds the body in the perfect position to distribute weight evenly across all our pressure points, supporting the lumbar area and banishing painful tension almost instantly. When you use a zero gravity chair, your body isn’t fighting against the Earth’s pull against your bones, you enter the perfect “neutral body posture.” This feels a lot like the experience you get when you stumble across the perfect sleeping position. Folks who have a sleeplessness problem should use a zero gravity chair or a recliner with the zero-gravity position feature. A zero gravity chair helps to improve the sleeping schedule for a person who is suffering from the insomnia problem. In fact, a shorter nap can provide much comfort when you use a gravity chair as a sleeping chair. what’s the best recliner for sleeping? In our daily office life, we have to sit in a straight position in a regular office chair for a more extended period, and that will create some pressure on our spine. Because of this, the disc of our spine feels some pressure too. As a result, we have back pain. When we sit in a zero gravity chair, it equally distributes our whole body pressure, and its flexible fabrics and elastic bungee system give us the proper back support. As a result, it reduces the burden on our spine and out back pain decrease gradually. Of course, not all zero gravity chairs created equal, but most of them can help your back feel better. One of the best zero gravity chairs for back pain you can buy right now are the chairs from Human Touch, Cozzia, or Svago – such as the Human Touch Perfect Chair PC-420 or Cozzia Dual Power Zero Gravity Recliner. This ergonomic design is perfect to relieve pressure and back pain. One of the biggest benefits of the zero gravity chair is that it promotes better circulation throughout the body, reducing varicose veins and soothing swelling. Not only does your heart work better, but your lungs can expand to a fuller position too. Your lungs depend on several surrounding structures to function. One of the most important ones is the diaphragm, which is a large muscle that works hard to help your chest expand. Your lungs then fill with air. When you sleep in a zero gravity chair, your diaphragm allows for maximum expansion, which then improves your lung function. Expanding your lungs more can lead to deeper breathing, which then sends more oxygen throughout your body. Physicians agree that the zero gravity position is the healthiest way to sit. If you have a problem with back or neck pain, if you want to enhance your circulation and improve your lung function, or just simply wanting a relaxing and rejuvenating experience, try a zero gravity chair. It will help you achieve your optimal stress-free position, giving you the comfort and health benefits you need. Now it’s time to look at our top picks of the best zero gravity chairs on the market today, and choose the right one for you. The Timber Ridge XL Padded Zero Gravity Chair is our top choice for the best zero gravity chair for most people. This chair is sturdy, oversized, functional, and comes in striking colors and unique designs that will produce many compliments. When it’s not being used, it can be folded up for easy storage. When it’s being used, it’s lightweight, making it easy to carry. 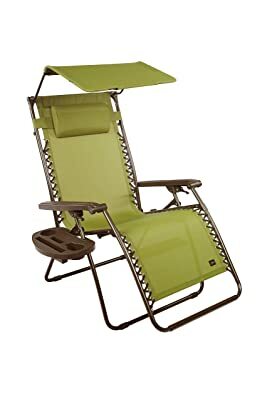 This is an excellent choice for people who like to sit out in the sun, at a swimming pool, on a camping trip, or just want a comfortable chair for reading a book under their favorite tree. The Timber Ridge XL is crafted from weather- and rust-resistant steel frame. 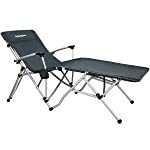 It features a padded seat and back suspended by elastic bungees, plus an adjustable pillow for maximum support and relaxation. A single drink holder on the side of the chair is a thoughtful addition for a chair that will most likely be used in sparse outdoor settings. The smooth recline function easily locks into your desired position by flipping the knobs on both sides away from the user to lock the reclined position in place. What really makes this chair the best zero gravity chairs for most people is its sturdy construction and the fact that it is 21.3 inches wide, 72 inches long when fully extended, plus it can support up to 350 pounds. 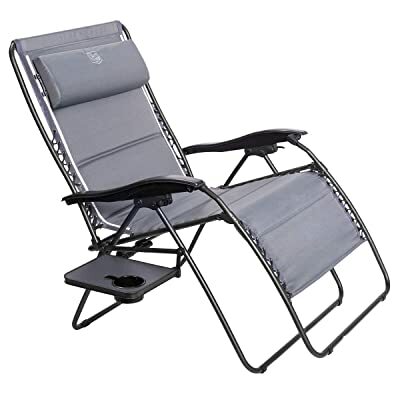 This makes it the ideal zero gravity chair for anyone, even people that have bigger stature. One of the most economical zero gravity chairs you can buy is the AmazonBasics Zero Gravity Chair. This chair is affordable and simple but still gives a comfortable place to sit and relax with locking mechanisms that can be set at the precise position for maximum comfort. 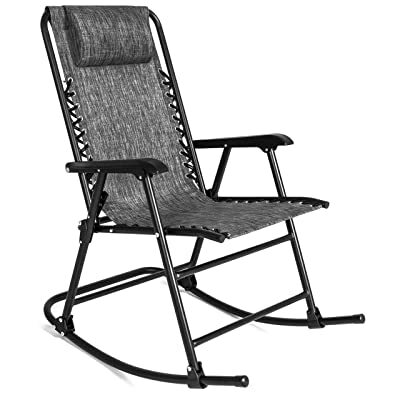 The AmazonBasics Zero Gravity Chair features sturdy powder-coated metal frames with fabric that is both tough and durable, accommodating up to 300 pounds. The chair’s weather-resistant Textilene fabric stands up to outdoor elements, offers comfortable breathability, and doesn’t retain heat, helping to ensure a comfortable, stay-cool seating surface that won’t stick to skin, even on the most sweltering of summer days. There are some limitations but people are generally happy with the performance of this budget zero gravity chair. If you want to spend the smallest possible fortune to get the feeling of weightlessness, this is the best choice. When it comes to indoor zero gravity chairs, there is no better choice than the Perfect Chair PC-420 Recliner from Human Touch. It features the best-in-class zero gravity fluid mechanism that uses the body’s own weight to gently ease into all recline angles. Maximum ergonomic posture is ensured at all recline angles through the fixed-form seating position, allowing you to find relief from stress immediately as the chair reclines. The Perfect Chair PC-420 has an outstanding looking, and would look great in an office or home. Its hand-carved and hand-finished solid wood base are made from the Hevea Brasiliensis (rubber tree), which yields one of the strongest woods on earth, resulting in rich, lustrous beauty that lasts for years and years. The pad sets are expertly crafted using only premium upholsteries, this sleek new pad is designed for ergonomic comfort and support. SōfHyde, top-grain leather, or premium leather upholstery covers the pad from head to toe, including the arms. The Perfect Chair PC-420 features wide and long armrests, an adjustable pillow for neck and back supports. The adjustable lumbar system is equipped with a release valve, allowing you to customize your seating comfort. If you’ve experienced low back pain, this is a perfect zero gravity recliner chair for you. 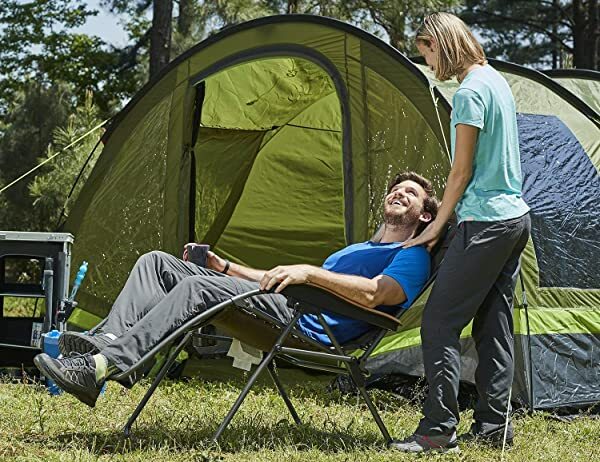 Treat your back pain with the Futura Air Comfort Acier Relaxation Chair from Lafuma – Europe’s leading manufacturer of high-quality outdoor gear and apparel for over 60 years. 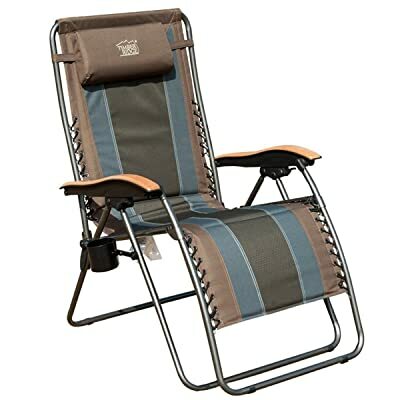 This outdoor zero gravity chair features Air Comfort seat and back pad that combines breathable and permeable materials to offer excellent comfort and back support. Air Comfort pad is thick and made from a durable Batylene fabric that will not be affected by water, sun, and snow while improving air circulation and drying. The chair also features Lafuma’s patented Clip system which uses Elastomere clips which form the link between the frame tubing and fabric to offer firmer comfort and perfect back support and is 100 times more durable than ordinary lacing systems, which had a tendency to stretch over time and become frayed, which could alter the even balance of the fabric. This simple clip-on system also means, that should you wish to clean or replace the recliner cushion, removing it takes minutes, as you will no longer have to lace and unlace the seat, just clip it in and relax. The Futura Air Comfort Acier is no doubt one of the most comfortable zero gravity chairs for your back pain. You sit in this chair, lean your back into the zero gravity position, and your legs are elevated, then you will immediately feel the pressure and discomfort being taken away from your lower back. You’ll feel a sensation of weightlessness, which is wonderful for just relaxing and taking the pressure off your back! Looking for a patio zero gravity chair? Look no further, this PORTAL Oversized Zero Gravity Recliner Chair is a perfect choice. Ergonomic, and designed for larger sizes, it retains all the functionality of the relaxing lounge chairs in the range, and adds to it with the excellent comfort of a large format seat pad. The breathable mesh back improves air circulation so you will always feel cool, even it’s a hot and sunny day. 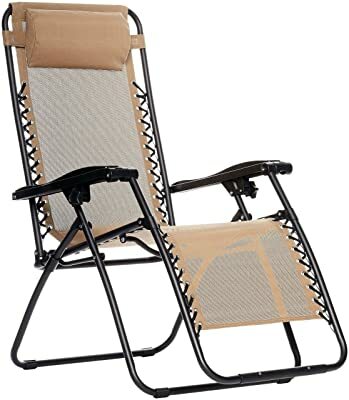 People that have added these zero gravity chairs to their patio furniture remark that these chairs offer a big upgrade in terms of looks and comfort. As a plus, the Portal oversized XL zero gravity chair is available in 3 different styles. 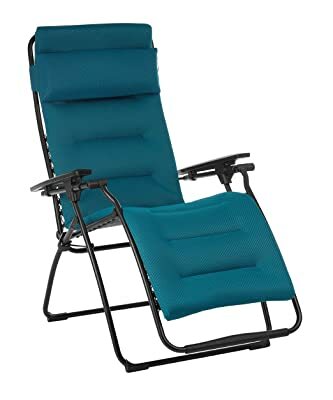 One thing to note is that the length of this chair when fully reclined is 72 inches that enough for people up to 6 feet 2, maximum weight capacity is 350 pounds, this is a great zero gravity recliner chair for bigger and taller people. Whether you’re off to a day at the beach or just kicking back in your own backyard, this folding zero gravity chair is always an easy seating solution. Designed for outdoors, it is crafted from weather-resistant steel and fabric, and includes a canopy for convenient shade – making it a good choice for the beach, patio, camping, or lounging by the pool this summer. The sling-style seat is made from durable PVC-coated polyester for weather-resistance. An adjustable head pillow provides extra comfort, while the canopy can either be extended over the chair or folded back out of the way if you’re looking to catch some rays. A side table will hold your drink, though some people warn that the plastic table can warp in direct sunlight and high heat. Supports up to 600lbs with a sturdy steel tube frame and durable high-quality 600D polyester embossed fabric, the length when fully reclined up to 72 inches, this is the best zero gravity chair for people that are bigger or need a wider seat. With breathable padded seat and back, instead of using the thin mesh likes most zero gravity chairs, the Timber Ridge Oversize XXL offers both ventilation and comfort. With the plastic armrests and sturdy metal construction, it can last a long time with the right care and protection from the elements. The only major drawback of this chair is its weight. At approximately 21 pounds, it is on par with many other models of zero gravity chairs but it can feel a bit heavy if you’re frequently hauling it around. Though the sturdy and stability outshine the chair’s weight and make it a worthy addition to your outdoor settings. 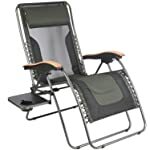 This chair is the easiest to fold zero gravity chair we’ve ever seen and it only takes a small space when folded, making it the best choice for camping and traveling. It is easy to open or fold in seconds when you need to use and store it at any time, and it folds to fit conveniently in a carry bag with shoulder strap. The KingCamp zero gravity chair only weight 9 lbs and after folded the size is only 42.5 x 9.5 x 12 inches, which make it portable and light enough to be carried like a suitcase on a trip, fits in most car trunks. The chair supports up to 350lbs with a sturdy Aluminum tube frame and durable fabric. It includes padded built-in headrest pillow, side cup holder, and a bungee suspension system. There are many reasons why the purchase a zero gravity massage chair is a smart decision for any homeowner. 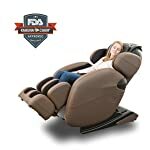 Zero gravity massage chairs offer a unique opportunity for the user to experience the ultimate in comfort and relaxation right from the comfort of home. While in the zero gravity position, the chair helps to take all of the stress off of the spine while elevating the feet and legs above the heart for improved circulation. And among all of the zero gravity massage chairs on the market, the Kahuna Massage Chair LM6800 is our top choice. 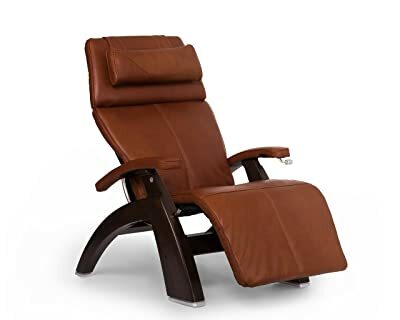 This chair offers many excellent features that will instantly rub away your tension and stress, and gives you complete control of your massages for ultimate relaxation, more importantly, it has a reasonable price. The Kahuna Massage Chair LM6800 has air bags located in shoulders, arms, waist, hips, allow 3D stereoscopic massage with two zero gravity positions. The shape of the roller trail is designed to support your neck to back and all the way to buttocks. The chair also includes massages with fingers, thumbs, and palms to assisted stretching and joint manipulation and mobilization. LM6800 has a special automated program called “Yoga” – this program is designed to eliminate toxins and waste products from the body and makes the body lightly and relieve stress as well. Perfect for a tired body. The chair features L-track with 4 wheels roller system. 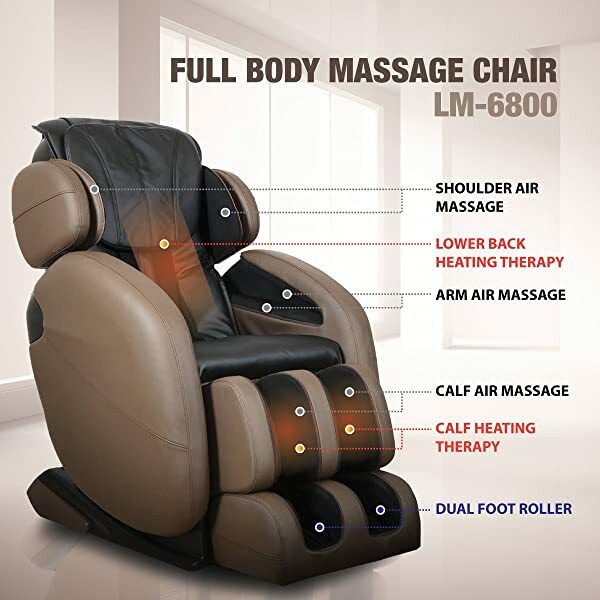 The Kahuna Massage Chair LM6800 offers many awesome qualities for its price. Compare to traditional zero gravity chairs, it reduces the stress on your body and allows for a deeper, more intense massage experience. For most people, the same soothing back and forth motion that soothed them as infants works equally well in adulthood. There are no wrong answers when adding zero gravity rocking chairs to your outdoor furniture. One of the most popular zero gravity rocking chairs on the market is this model from Best Choice Products. This zero gravity rocking chair is made of steel frame with weather resistant fabric. It folds for easy storage when not in use. Just lock the side in place before use and you’ll be rocking the afternoon away. Its locking system provides multiple reclining positions for optimal comfort.